Winner of the 2018 Women’s Fiction Writers Association Star Award. 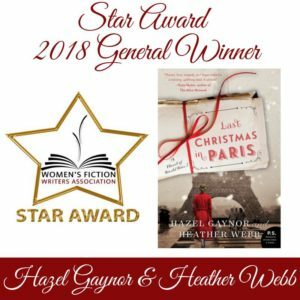 New York Times bestselling author Hazel Gaynor, author of The Girl Who Came Home, has joined with Heather Webb to create an unforgettably romantic novel of the First World War. When war pulled them apart, their words brought them together. 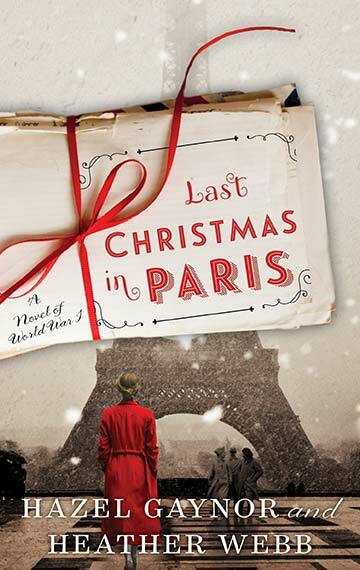 Thomas Harding travels to the City of Lights, a packet of cherished letters in hand…letters that tell a story of love and loss, friendship and family, and the innocent hopes of a generation devastated by war. As he reads the letters one more time, Tom is transported back to 1914 and the sunlit August day when Evie Elliott waves goodbye to him and her brother Will, as they head to the Western Front. 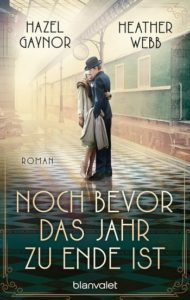 All believe the war will be over by Christmas when the trio plan to reunite and celebrate the holiday among the romantic cafes of Paris. But it is not to be. As months slip into years, Tom and Evie’s lives become bound together by the letters and telegrams, notes and stories that travel between them, from the front line in France to a quiet suburb of London. But as their friendship flourishes, there is far more than words held between the pages of Tom and Evie’s letters. Now, decades later, Thomas finds himself once again in his beloved Paris, determined to fulfil a last promise and to lay to rest the ghosts of the past…but one final letter is waiting for him. Read the story behind Last Christmas in Paris here.